During my time with Stagetext up to November 2011 when I stepped down from the Board, Roger provided a caption unit that offered much improved quality over the earlier low-definition units, and the continuous improvements in the hardware and software (to which people from both Roger’s organisation and Stagetext contributed) have been instrumental in the creation of the high quality captioning experience we see today. Since 2006, Roger Graham of Digital 4 has worked with the captioning charity Stagetext and Signblazer Ltd to develop new systems that have transformed access to the Theatre for the UK’s 10 million people with a hearing loss. 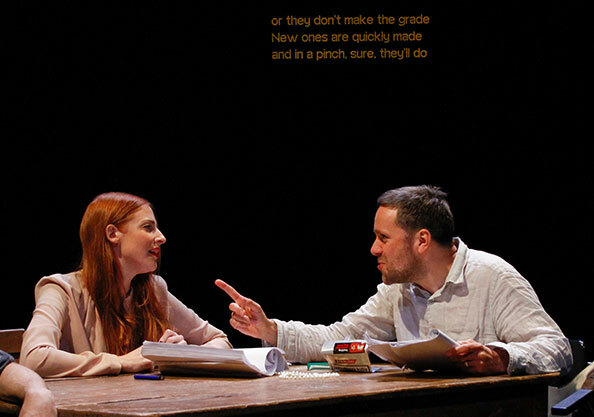 Theatre captions are similar to television subtitles but in the Theatre Captioning the actors’ words appear on an LED caption unit (or units), LCD screens, tablets, or on smart-eye glasses, in the theatre, at the same time as they are spoken or sung. 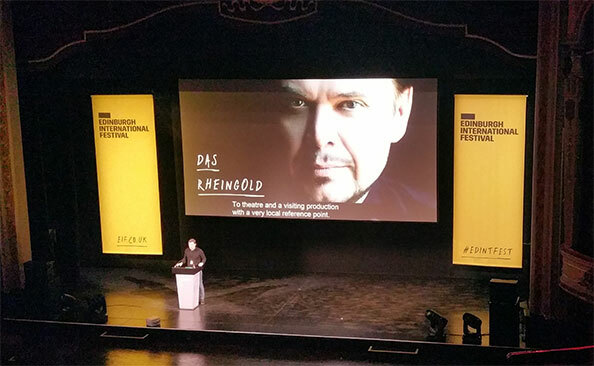 Over 100 hundred bespoke LED Caption Units and software applications have been supplied to theatres throughout the UK, in Germany, and the USA. Using systems and software developed by D4, Captions can be displayed on a wide variety of devices including projector, LCD displays, Tablets and Smart-Eye Glass so that almost any performance of any type in any venue can now be made accessible. it is also now possible to out-put to different combinations of display devices simultaneously to extend access provision to include promenade and site specific performances or to offer access in parts of venues where caption units cannot easily be seen. The full-colour D4 Venue Display is our latest development in LED signs for Captioning. Our original single colour Caption Units were designed specifically for mid to large size auditoria. New software and hardware developments mean that we can now offer D4 RGB Venue Displays if different sizes, pitch and resolutions to optimize their effectiveness in your venue. These bespoke LED displays allow venues to offer Open Access to audiences in medium and large auditoria – audience members needing access can sit anywhere and see the Captions. For over 10 years, Roger Graham of Digital 4 has acted as a consultant to Stagetext developing new software and hardware solutions to improve access to the Theatre and the Arts for the UK’s 10 million deaf, deafened and hard-of-hearing. 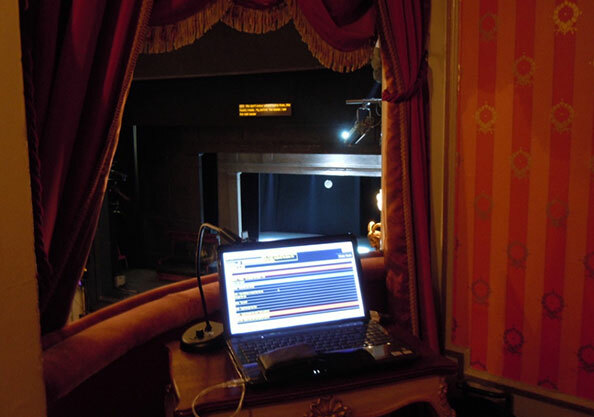 In 2006 over 50 Caption Units were supplied to Theatres through-out England as part of the Arts Council funded “See-A-Voice” project. In 2016 there are over 100 of these displays being used to make Theatre accessible. 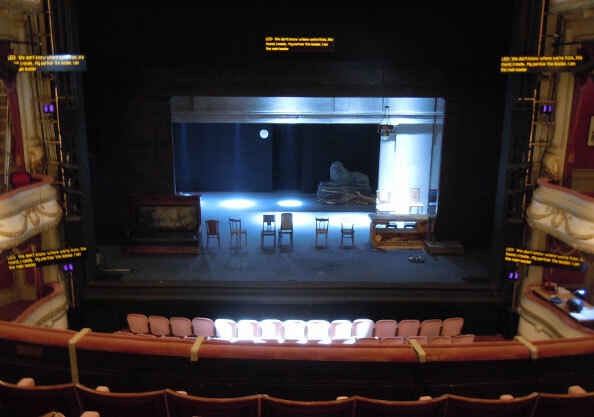 Companies who have purchased their own units include The National Theatre, Royal Shakespeare Company, the Ambassadors Theatre Group, and many other venue-based and touring Theatre companies. These are IP rated weatherproof versions of the Standard Caption unit that have “ultra-bright” LEDs so that the text can be seen in direct sun-light and outdoor theatre events can be made accessible to deaf, deafened and hard-of-hearing audiences. 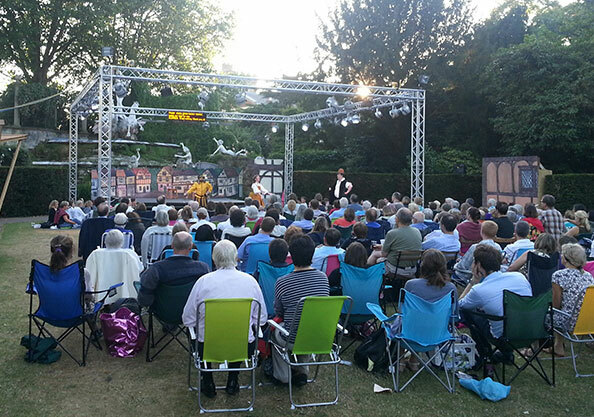 They are used regularly at Regents Park Open Air Theatre and for other out-door events through-out the UK. External quality Full Colour Venue Displays are also available for out door Captioning, Opera Surtitling and Simultaneous Translation. These can be an excellent and cost-effective alternative to LED Caption Units for smaller venues, touring productions, or for shows where design considerations mean that using LED displays is difficult or inappropriate. Multiple displays or projectors can be used together or in combination with Standard Caption Units to provide access for specific audience groups in a venue. 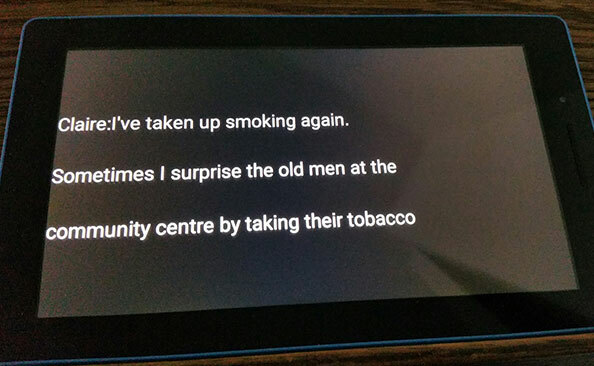 Captions are delivered onto an Android tablet via a local router using D4 supplied app and software. 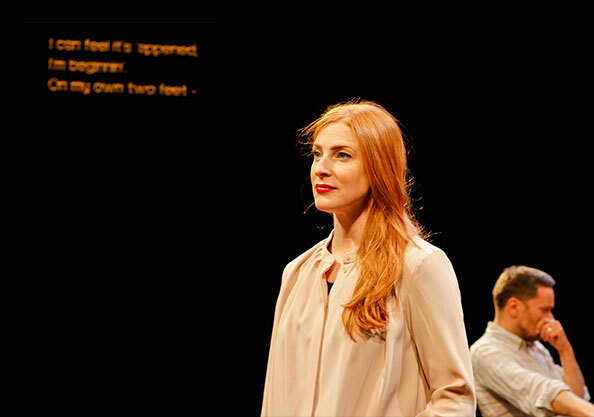 Captioning to tablet was developed for promenade and site specific performances such as The Almeida Theatres’ production of “The Fever” that took place in a suite at The Mayfair Hotel and The Royal Court’s production of “Who Cares” that took place in multiple venues on the same site. Tablets are also successfully used in the Sam Wanamaker Playhouse at the Globe Theatre in London and The Crucible’s Studio Theatre in Sheffield. This is a new initiative from Digital 4 in response to requests from Theatre and Opera Companies. Partnering with Epson and using their new OLED smart-eye glasses we can out-put captions to individual audience members wearing the smart-eye glasses. New software developments and our D4 app mean it is also now possible to out-put different text and/or different languages to different individuals or groups. This opens many exciting new possibilities for the provision of access, and revenue streams for companies offering Opera Surtitling and Simultaneous Translation for their audience. Timing of the captions is crucial so as not to pre-empt the actors. It is vital that the captions do not lag behind the actors because the ability of many people to “hear” the actors is then lost. A trained captioner prepares the captions in advance, formatting the script into the captioning software. 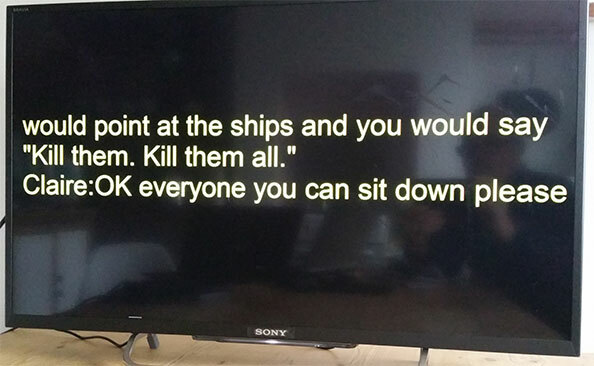 They then cue the captions live. 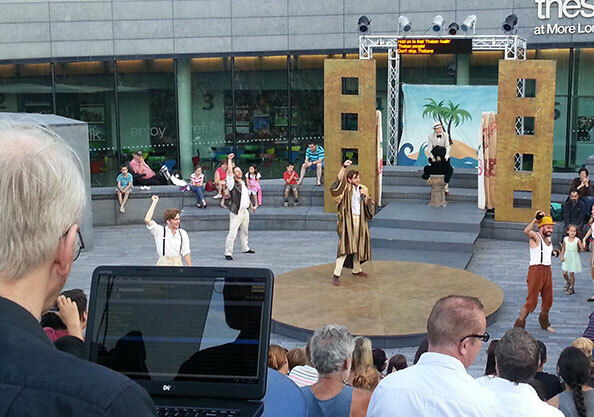 Our captioning software was written in consultation with Captioners and Peter Pullan, the co-founders of Stagetext. It enables Captioners to import a script, and then and out-put lines exactly as the actor speaks them. Digital 4 continues to commit time and resources to improving access provision, improving design, extending choice, and utilizing the latest developments in display technology. For example, our latest software version includes the facility to out-put different text to separate displays from the same source lap-top. 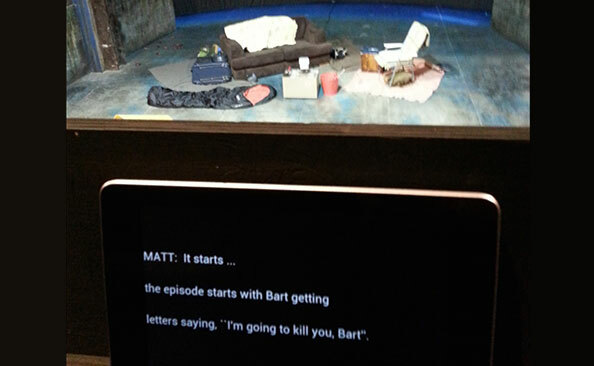 For example, this makes it possible for shows in Wales to be captioned in Welsh and English simultaneously. Please contact us for more details or if you have a project that we can assist you with.